A recent survey asked citizens across India what living well meant for them during last few days of their life. The survey conducted with a sample size of 2400+ showed that 88 per cent Indians wished for the independence to decide their line of medical treatment during the last days of their life rather than leaving it on their family. The survey carried almost a year after Supreme Court’s historic verdict on Living Will showed that despite having strong opinions about their last moments, only 27 per cent Indians are aware about the concept of Living Will. The survey was conducted by HCAH guided by End of Life Care in India Task Force (ELICIT). Commenting on the findings, Dr RK Mani, Head, End of Life Care in India Task Force ( ELICIT),said “The survey clearly shows that with more awareness around Living Will, many more Indians would be able to take such informed decisions. While only 27 per cent of people surveyed were aware of the concept of living will, but the moment we gave them a background on the subject more than 79 per cent found the concept of Living Will relevant. While the ‘Living Well’ factor may differ from person to person, most had a wish regarding how they want to live the last few moments of their life. Supreme Court’s verdict on Living Will, withdrawal and withdrawing of life support becomes an important factor enabling people to ‘live well’ their last moments. What we now wish is to have simplified process laid down to help people execute their Living will”. The objective of this survey was to bring discussions around Living Will out of conference rooms to living rooms of people. The survey highlighted that while people want to make informed decisions for their last moments, awareness around Living Will – an advanced healthcare directive which lets people state their wishes with regards to their last moments even when they can’t – is very poor in India. Sample: ~2400 sample size with almost equal male and female participants. Regions: Delhi, Mumbai, Kolkata, Hyderabad and Bangalore, Jaipur, Chandigarh. Age groups: 25 – 35years, 36 to 50 years, 51 to 60 years, 61 years or more. 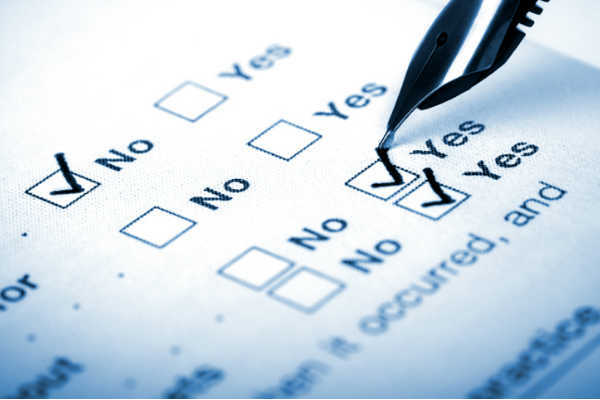 Methodology: Face to face interviews using multiple choice questionnaire. An objective note on Living Will was also employed midway during the survey. Awareness levels around the concept of Living Will were poorest in Jaipur and Chandigarh, while with 36 per cent and 31 per cent respectively, the awareness levels in Delhi and Mumbai were highest. The survey not just gauged the level of awareness around Living Will, it also made people aware about the same in objective terms. An objective note about Living Will was shared with all respondents in the middle of the survey to raise awareness around the concept. Post understanding the concept of Living Will, 87 per cent respondents found it highly relevant for terminally ill or patients on artificial life support. The acceptance was at 92 per cent in respondents above 60 years of age. Interestingly, on being asked the relevance of Living Will for self, this number dipped from 87 per cent to 76 per cent. This gave interesting insights into the psyche of Indians. While the difference was not significant amongst different age groups and regions, respondents in the age group 25 to 35 years and respondents from Delhi found Living Will least relevant for themselves. What was interesting to note was that Chandigarh, which had the poorest awareness about the Living Will concept found it most relevant. Commenting on the findings, Dr Gaurav Thukral, COO, HCAH said: “Worrying about burden on the family and wanting a suffering free dignified end of life highlights the maturity of the Indian people in dealing with a difficult situation. The Indian values of putting needs of the family before your own was very evident. 96 per cent of senior citizens who thought Living Will to be a relevant concept see it as an important way to reduce financial stress on their family while 93 per cent of respondents in the 25–35 years group found it relevant to put an end to suffering of patients on artificial life support”. Despite having strong preferences about their last days, awareness around Living Will is very poor at only 27 per cent. After understanding the concept of Living Will 87 per cent people found it relevant for terminally ill patients, long term coma patients or patients of artificial life support with little or no hope of recovery. Interestingly, only 76 per cent people found it relevant for themselves. The key reason behind relevance of Living Will was relieving family’s financial burden and having dignity in death. Furthermore, of the 76 per cent people who found the concept of Living Will relevant, 91 per cent wished to discontinue any life support system in case they were declared terminally ill on artificial life support with no or marginal hope of recovery. Only 5 per cent found Living Will concept irrelevant, with few worried about its misuse and while few find it hard to chart the course of their last moments themselves and will leave it on their kin to decide.